Wandering Between Worlds – Bare Essentials. Forever intwined, the two worlds—above and below—share the same life line but very different views. Expressed within the photographers vision, an insatiable curiosity and wonder for natures enigma, that compels exploration between worlds. In this final installment of our ‘Masters of Photography’ collectors edition we gleam instinctual skill and learned experience from the wisest of wanders—visual artists seeking to document the mysteries of our vast and diverse natural world. We dive into the ocean with reputed marine photographer, David Doubilet, and explore below the surface of a coastal sanctuary with celebrated documentarian, Ian McAllister. In the world above, we go on expedition to the ice kingdom of Antarctica with National Geographic photo-journalist, Ralph Lee Hopkins. 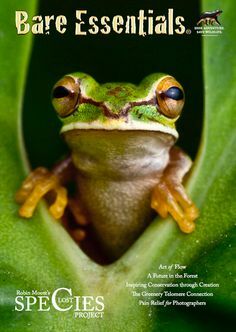 From there we venture down-under, to witness small wonders hidden amidst the lush forests of Queensland with macro-maesteros, Stanley and Kaisa Breeden. There is still more, but that remains yours to discover.